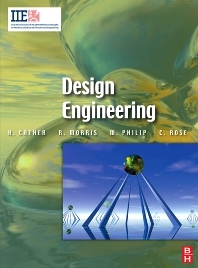 A core text for first year modules in Design Engineering offering student-centred learning based in real-life engineering practice. Design Engineering provides all the essential information an engineering student needs in preparation for real-life engineering practice. The authors take a uniquely student-centred approach to the subject, with easily accessible material introduced through case studies, assignments and knowledge-check questions. This book is carefully designed to be used on a wide range of introductory courses at first degree and HND level. The interactive style of the book brings the subjects to life with activities and case studies rather than devoting hundreds of pages to theory. Key numerical and statistical techniques are introduced through Maths in Action panels located within the main text. The content has been carefully matched to a variety of first year degree modules from IEng and other BSc Engineering and Technology courses. Lecturers will find the breadth of material covered gears the book towards a flexible style of use, which can be tailored to their syllabus.